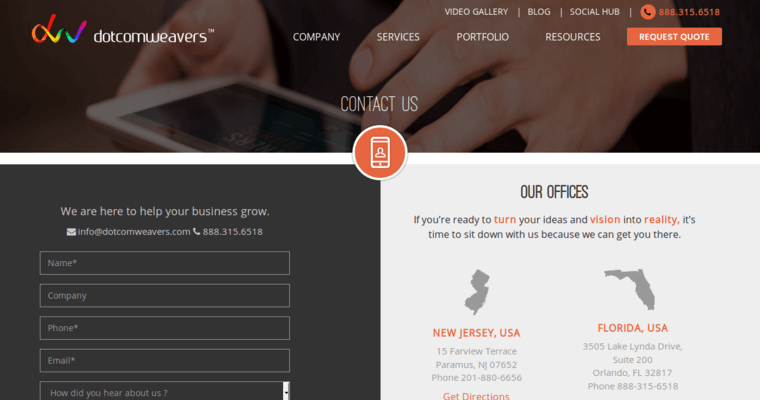 Dotcomweavers is a professional, website-design firm located in New Jersey. The firm was founded by Amit Bhaiya and Mayank Agrawa. These entrepreneurs started with humble resources, but they persevered to realize their dreams. They have a passion to bring big-city design and development services to clients. The two do so with a personalized touch and collaboration with each client. Today, they employ over 50 professionals with expertise in design, web-development and more. Additional offices have been opened in Florida and India to meet their growing demand. 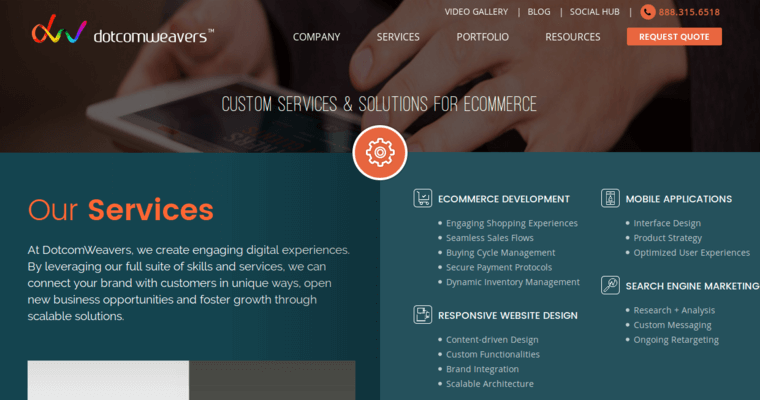 Dotcomweavers offers eCommerce development through SEO, data management, strategy, consultations and B2B solutions. The firm can create a unique website for you or development custom applications. 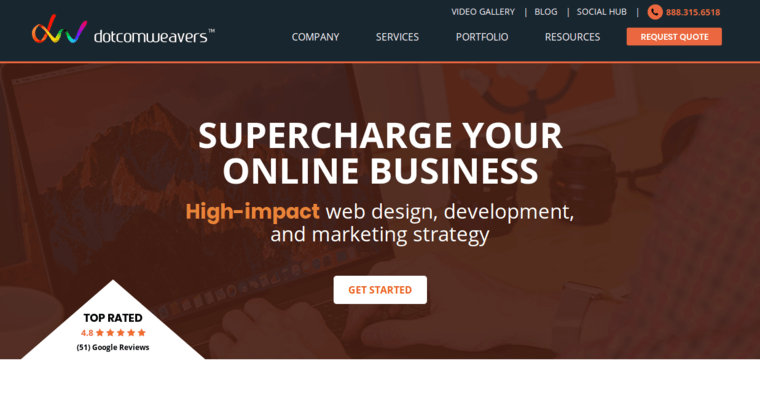 All websites designed by Dotcomweavers are created with your customers in mind. Interfaces are intuitive and easy to use. The proper information and brand message is conveyed in interesting ways. Websites are responsive and have attractive designs.